The USA is the most popular destination to study English as a Second Language, with schools and locations in the USA offering ESL programs and locations to suit every need. Click on any program to view more information, or refine your search within the USA by state. Most states in the USA have many English as a Second Language programs, with schools and locations offering ESL programs and locations to suit every need. Please use the form below to refine your search for ESL programs in the USA even further and find a program that is right for you! Showing 1-80 of 635 items. Whether you’re entering college for the first time, coming back to finish your degree or looking for career advancement opportunities, FSCJ offers the resources you need to reach your English language goals. Conveniently located throughout Northeast Florida, FSCJ offers classes on campus during the day, evening and on weekends. The Maryville College Intensive English as a Second Language (ESL) Program offers courses year-round for anyone who wishes to improve their English language skills. We are dedicated to providing intensive, high-quality English instruction in a supportive environment that prepares each student to achieve his or her academic goals. Students from all over the world choose to attend the University of Arkansas because it is a place where international students are welcome. USF is a high-impact, global research university dedicated to a single purpose - student success. Our primary goal is to support students as they pursue the goals of attaining an education, finding meaningful employment and making a difference in the world. Since 1990, the UTAH ELI mission has been to provide our students with the opportunity to learn English in an academic setting, make new friends, and experience American culture in an enriching and welcoming program on the beautiful University of Utah campus. A F International School of Languages Inc.
A.C.E. Language Institute at Seattle Pacific University is located in Seattle, Washington, USA. Seattle Pacific University is a small, private university located in a safe residential neighborhood, just a few minutes north of downtown Seattle. A.C.E. students spend 20 hours a week in intensive English language class and 5 or more hours in optional electives. California State University, Fresno, is located in the Central Valley of California, an hour away from Yosemite and King's Canyon, which offer skiing and recreation. The California coast is about 3 hours away. English for Academic Purposes: writing/grammar, reading/vocabulary listening/speaking, pronunciation, TOEFL preparation, and computer lab. Studying English in San Francisco The American Language Institute is located on the campus of San Francisco State University. San Francisco is known as "America's Favorite City," and is famous for its great beauty, its mild climate, and its cultural diversity. The American Language Program (ALP) serves graduate and undergraduate students who have not yet reached the level of English proficiency required for regular academic admission. Most ALP students plan to pursue an academic program at The Ohio State University, but many go on to study at other institutions. At Agape, you will be welcomed into a family where you can experience top-notch instruction, caring hosts, and small classes at an affordable price. Agape Columbia is located just a short walk away from the University of South Carolina and the historic 5 Points area. We invite you to come learn English and experience Agape! At Agape Greenville, you will be welcomed into a family where you can experience top-notch instruction, caring hosts, and small classes all at an affordable price and set in beautiful Greenville. We invite you to come learn English and experience Agape! Professional Building Wheel Chair accessible "Creating a Yearning for Learning. 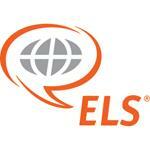 "ESl program for adults of all ages. Offers non-English or limited English speaking adults a fast-track alternative in one-on-one or in small group sessions to master English language speaking and writing skills. Forum Intensive English Center (Washington D.C. Metro Area) is a nationally accredited language school and is SEVP-approved (authorized by the U.S. government to enroll non-immigrant students). We believe in the power of dialogue! Instructors use non-traditional, student-centered techniques that keep classes exciting! ACE is an English language school which prepares you for academic study in a U.S. college or university. ACE is located on the beautiful Grossmont College campus, only 20 minutes from downtown San Diego and Southern California beaches. We can help you transfer to Grossmont College, then to the university of your choice! The American Cultural Immersion (ACI) is an innovative English language coaching business located in Connecticut, New York, and Washington D.C. We offer in-person and online services to clients locally and internationally. Metro Atlanta area. English for Speakers of Other Languages (ESOL) instruction is offered in English comprehension, grammar, speaking, and writing from beginning to advanced levels. We also offer TOEFL preparation courses. History of American National College American National College was incorporated as a proprietary school in July 1986. The school held its first class on September 2, 1986 and has grown from 1 campus to 3 campuses in the United States today. American National College comprised originally of 3 separate schools which were Iverson Institute, Royal Beauty Careers, and Circle J. Beauty school. We accept International students for F-1 visas. Application are welcome at anytime of the year. Contact us: admission@americanone-esl.com American One is a CEA accredited institution that offers one of the best programs in ESL and TOEFL preparation. The school is a leader in English Education, and our campus is located in one of the safest places in the United States of America. 4000 DeKalb Technology Parkway Building 500, Suite 550 Atlanta, GA 30340 Test Preparation: iBT TOEFL, IELTS SAT, GRE, GMAT, USMLE. All test preparation courses consist of two sections, the first of which provides the foundation necessary for success in the second advanced section.